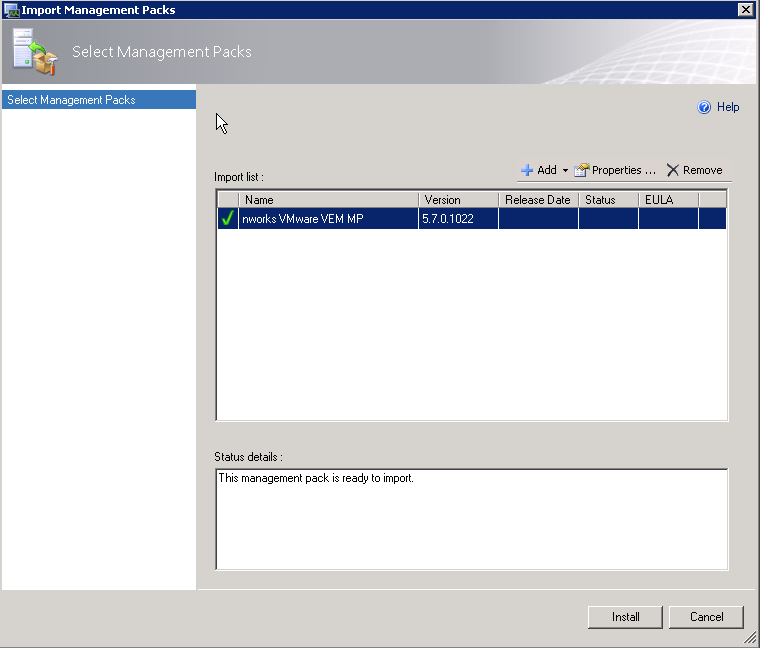 A few month ago at MMS in Las Vegas, Veeam announced their management pack for VMware for free for up to 10 sockets! I was very surprised to read that because I had seen it before and it is amazing how much information you get out of this management pack. In my opinion the best management pack for VMware ESX monitoring. Because I am so excited about it I would like to share my experience. 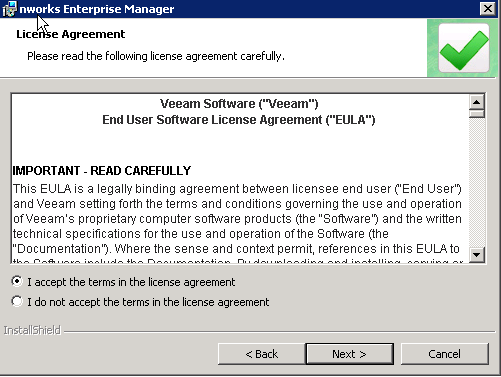 First of all you need to create an account at the Veeam homepage to download the sources and to apply for a license file. There is a good chance that a nice sales salesperson will call you and ask you some questions. But it is no big deal. After that you will receive your free license for 10 sockets! 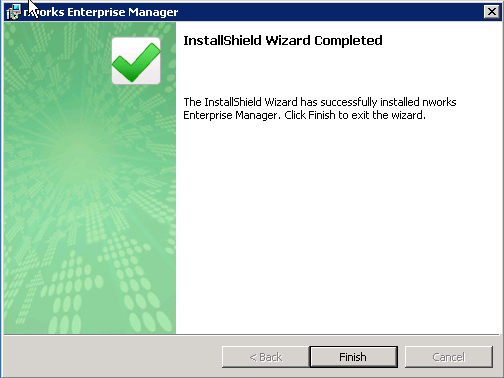 Before you install your management pack you need to understand how it works. 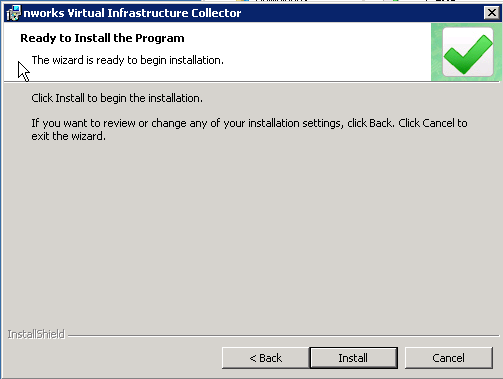 This management pack requires you to install one or more dedicated so-called Collection servers. 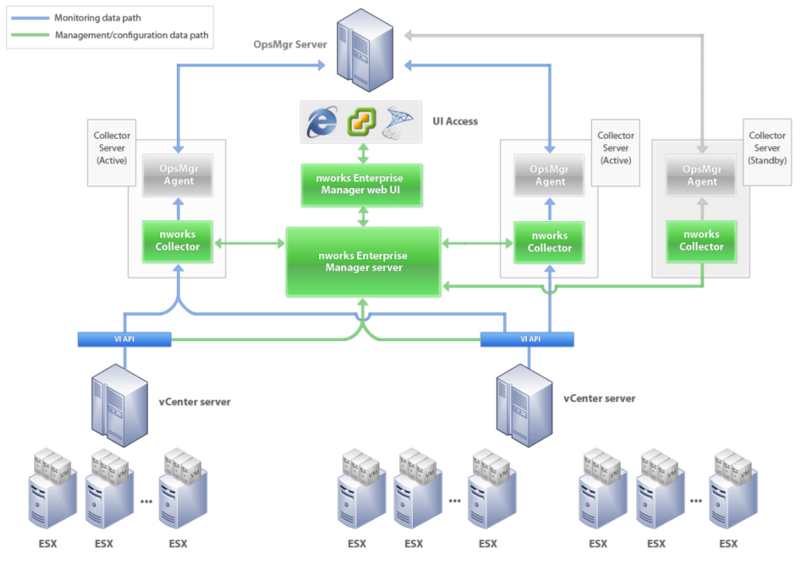 These servers build the “interface” between the SCOM servers and the ESX infrastructure. 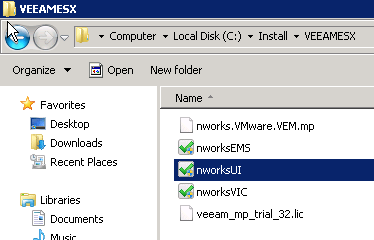 Basically it is a Windows 2008 R2 server with the Veeam software installed which collects all the countless data from VMWare. To get a rough idea Veeam provides a very nice overview. 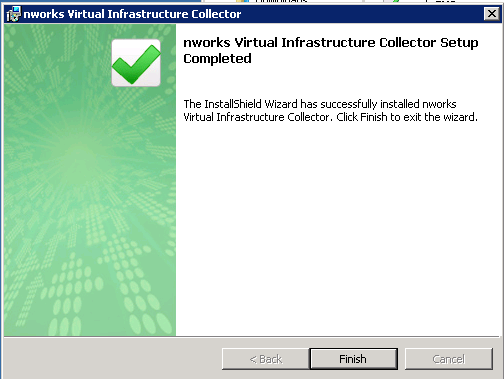 As you see you are able to deploy multiple Collector servers depending on your infrastructure and needs. There is an online calculator to determine how many collection servers you need. In my case I want to monitor 5 ESX hosts bundled into a cluster and each of these nodes has 2 sockets. As you can see it is just enough for the free license. 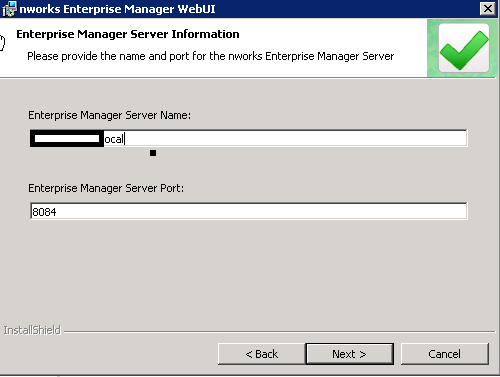 There are three components Enterprise Manager, Enterprise Manager Web UI and the Collector server. Each of these components can be installed on separate servers or all together on one box. Depending on your size of the ESX farm you might need to decide how to design your architecture. 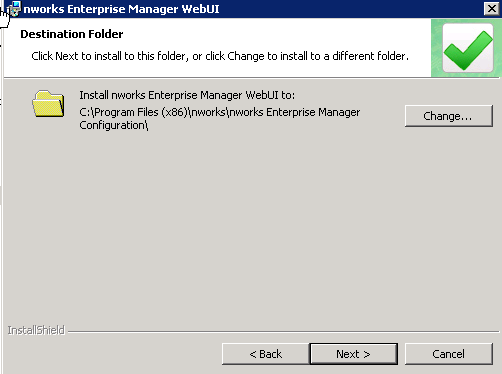 You could install Enterprise Manager and Web UI onto one server and add for redundancy and load balancing one or more Collector server. 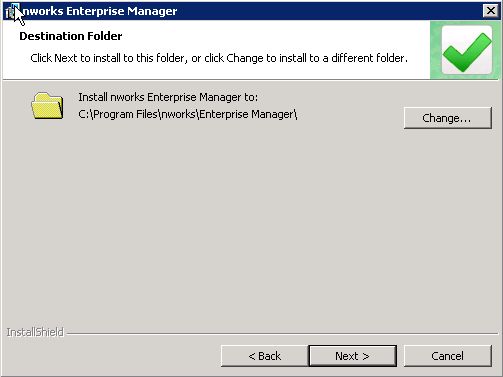 The Enterprise Manager components are basically to administer the Collector server, establish the connections to VMWare and mange the licenses. 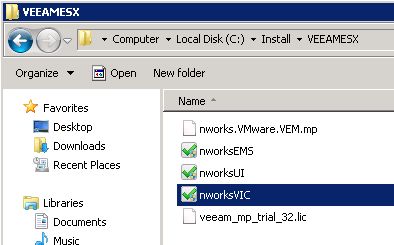 In my situation I will setup all roles on one dedicated Windows 2008 R2 SP1 server for the Veeam MP. 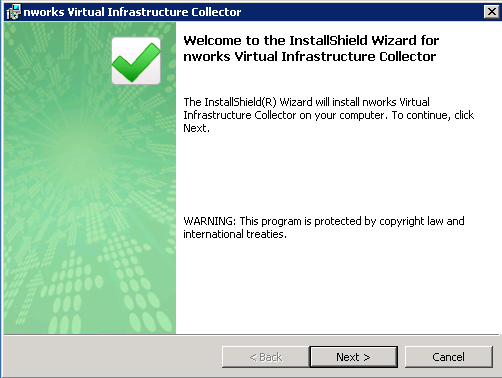 All Versions 2007 SP 1 an higher are supported. Both architectures x86 and x64 are supported. 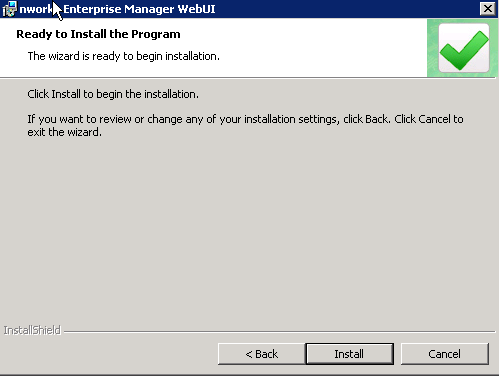 Microsoft Windows Server 2008 SP2 with KB981574 hotfix. 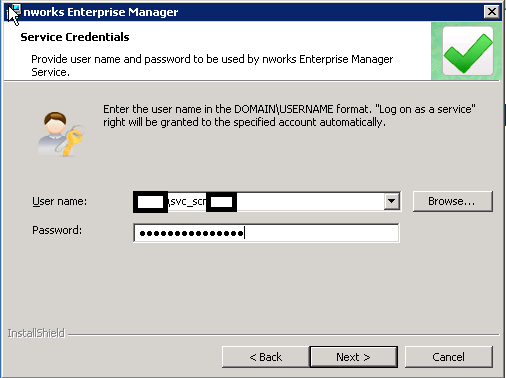 Framework 2.0 (with SP2 and KB981574) or later). Compatibility, Windows Authentication support, ASP.NET. 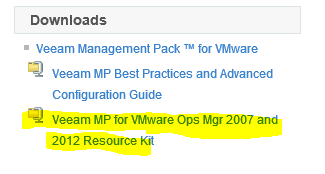 If you login into the Veeam account you also find a Veeam MP Resource Kit. This kit contains documents and necessary overrides. I recommend to download this Resource Kit also. 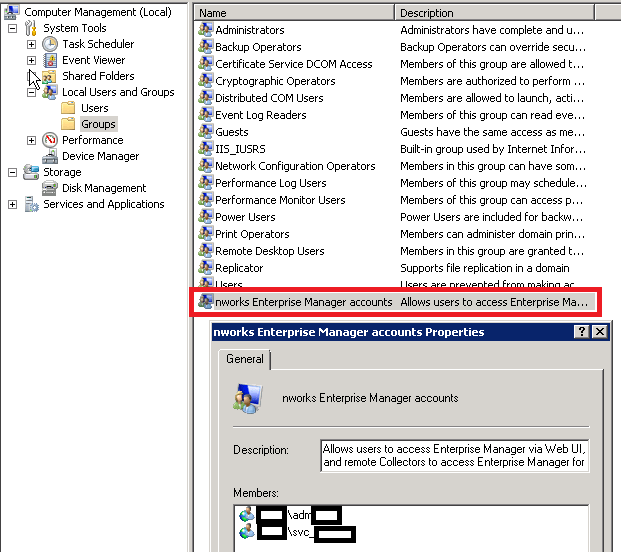 service account svc_vcol (needs local Administrator on Enterprise Manager server). 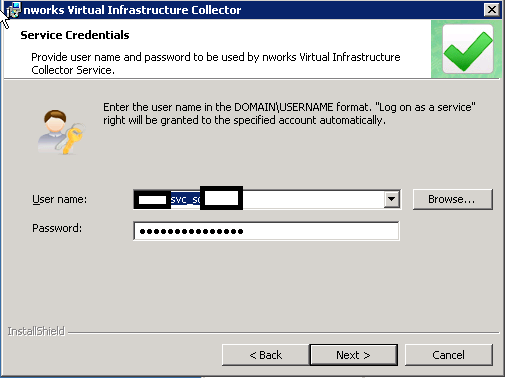 I also use this account to connect to the vCenter server. 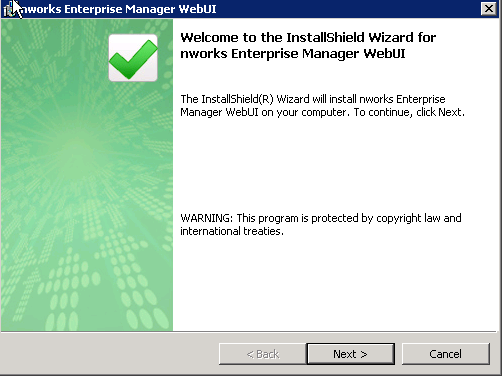 Enterprise Manager allows centralized configuration management, high availability and load balancing control, and license distribution. 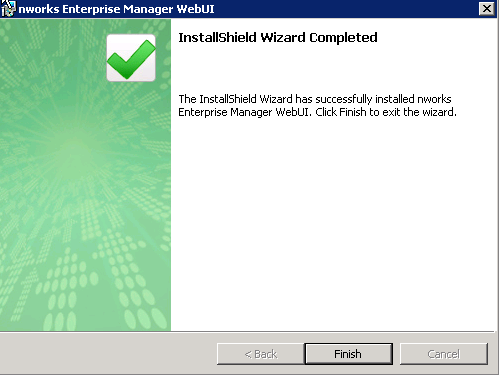 To manage Enterprise Manger you need to install the Enterprise Manager Web UI. 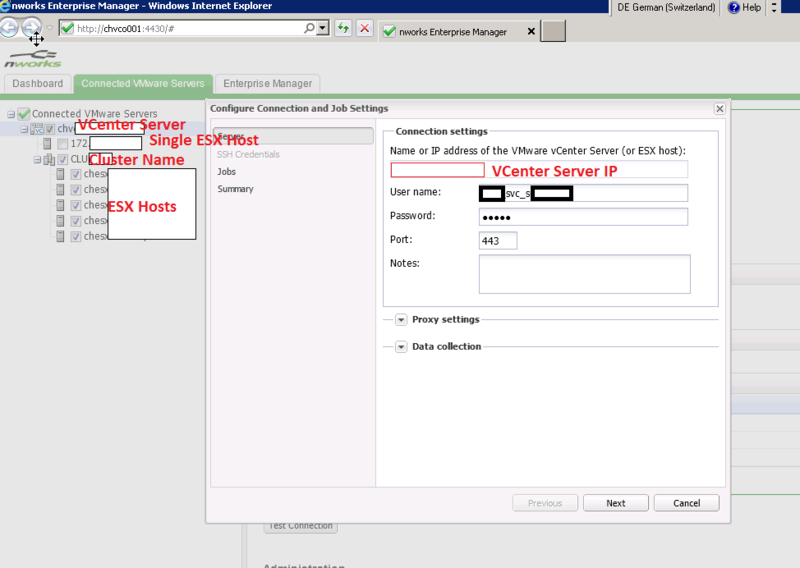 The Collector server is the actual work horse which collects all the information from the ESX hosts / VSphere servers. 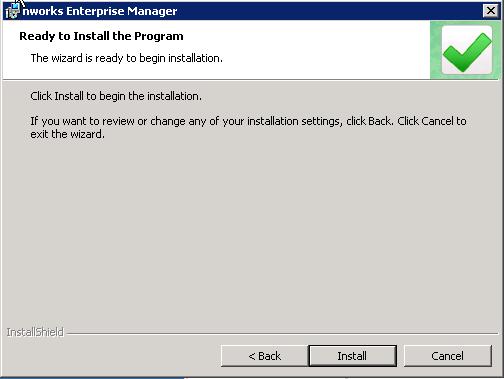 It is possible to install this role on dedicated monitored Windows Servers or even on dedicated SCOM management servers. Even there is a recommendation from Veeam for best performance that the installation is being done on dedicated management servers. Now the setup is finished, I have installed all necessary software. Next we need to make some configuration in for the Collection server to function properly. 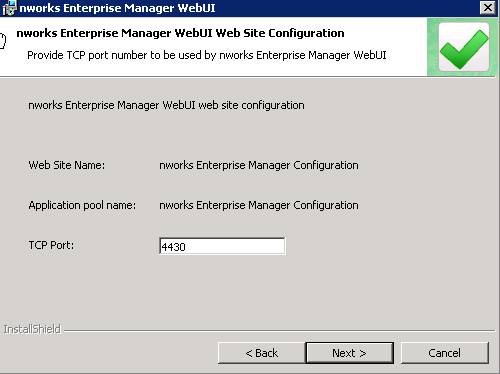 Next connect to the Enterprise Manager Web UI and go to connections..
…set the connection to the vCenter using the svc_vcol account and select the cluster/hosts to monitor. 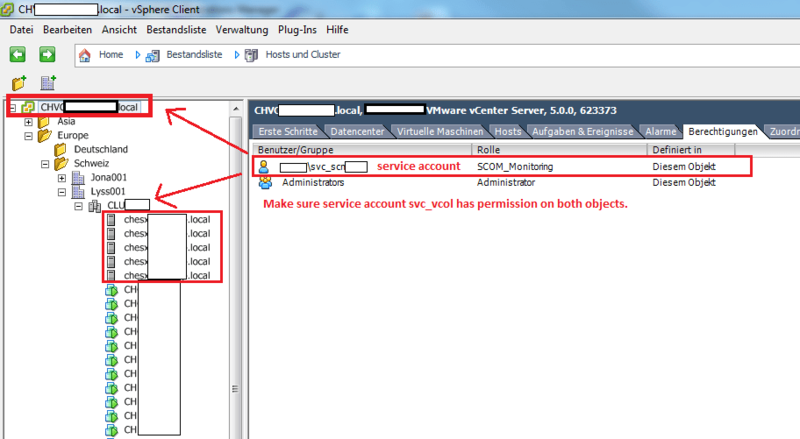 In this case make sure your service account has the appropriate permission on the vCenter server. As mentioned above the account needs permission on the entire VI hierarchy. As you can see setting is a very easy and straight forward process. I didn’t encounter any further problems. I just showed you the basic steps to get it up and running. 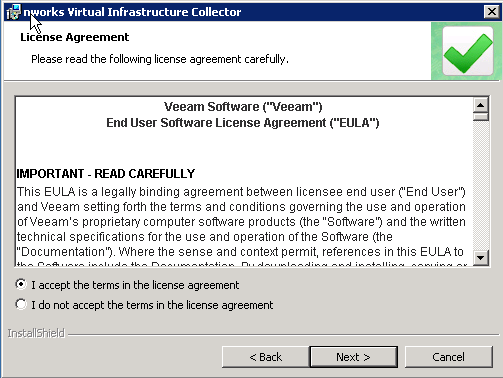 If you need more information or design guides, Veeam provides very good and detailed documentation on this subject. I highly recommend exploring their website! 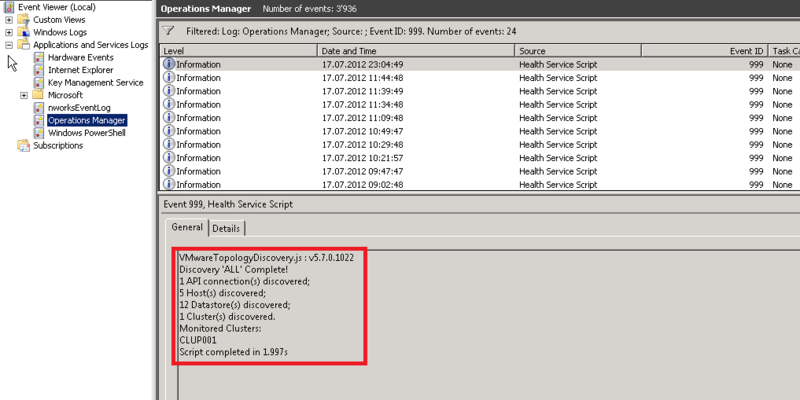 In the next post I will show how it appears in the SCOM console. Great article! 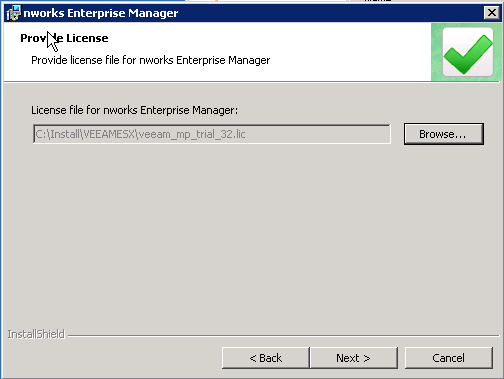 I found it because I installed Veeam MP in SCM 2007, but I can’t get it working. I’m at the bottom, and I’m seeing event 999, and it’s telling me that it’s finding the API connections ok, but everything else (hosts, clusters and datastores) is not finding it. Don’t know where the problem is, I see that the permissions propagate. My question is, for troubleshooting, what do you have to do to generate event 999? 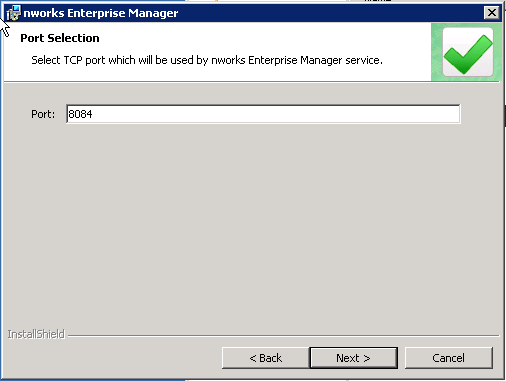 Is it the “Configure OpsMgr agent”, or the “Rebuild Topology”, or something else? Try “Rebuild Topology” and watch out for this event! 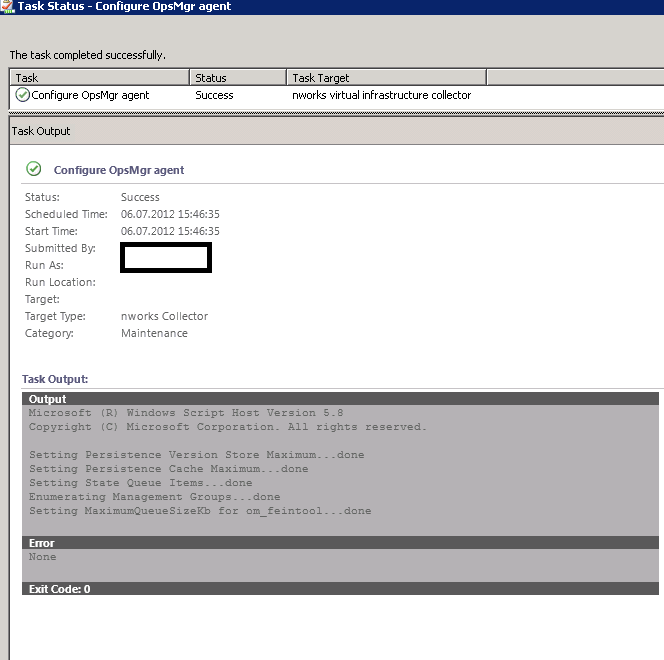 can we in stall Collector server on that server (same server with scom2012)? Yes you could do that. Keep in mind that if you install this component onto a management server it will put additional load on it. In very large environments it is recommended using dedicated collector servers installed on dedicated Windows Server with SCOM agent installed or dedicated management server with nworks installed. I am receiving 999 but it is an error, I am suspecting its permission related: VMwareTopologyDiscovery.js : Error Loading XML document D:Program FilesnworksCollectorLogOmTopology.xml – No data is available for the requested resource. Try to set the refresh rate in the VCenter to 5 minutes. 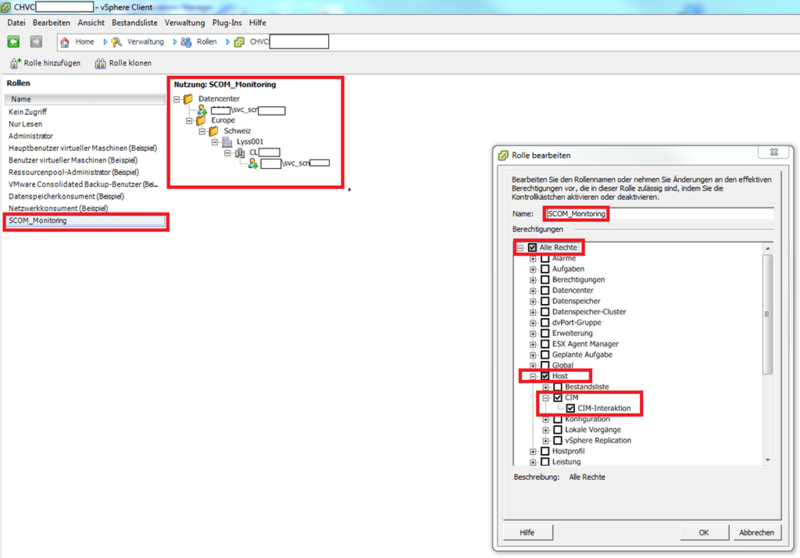 I don’t recall what the setting is excatly called but there is some sort of refresh intervall in the VCenter. For this MP it is also set to 5 minutes per default. I had some time ago a similar problem after setting These interval to its default everything worked. 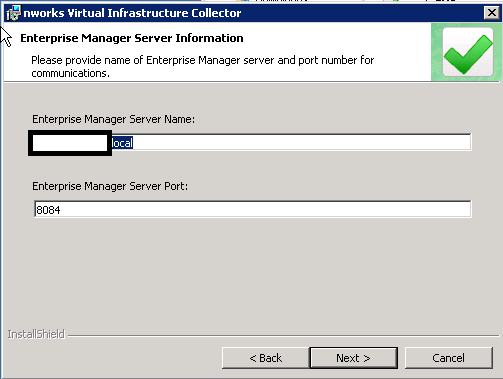 What ports are needed between the collector and vcenter server? 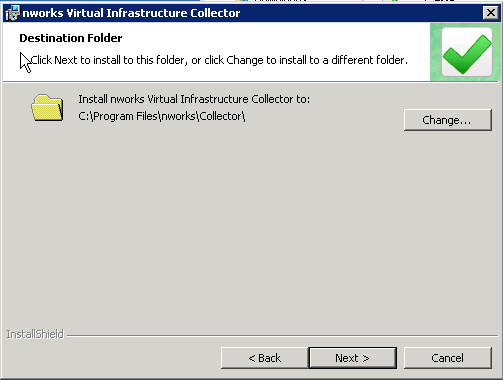 From Veeam Collector to vCenter is port 443 (https) used. 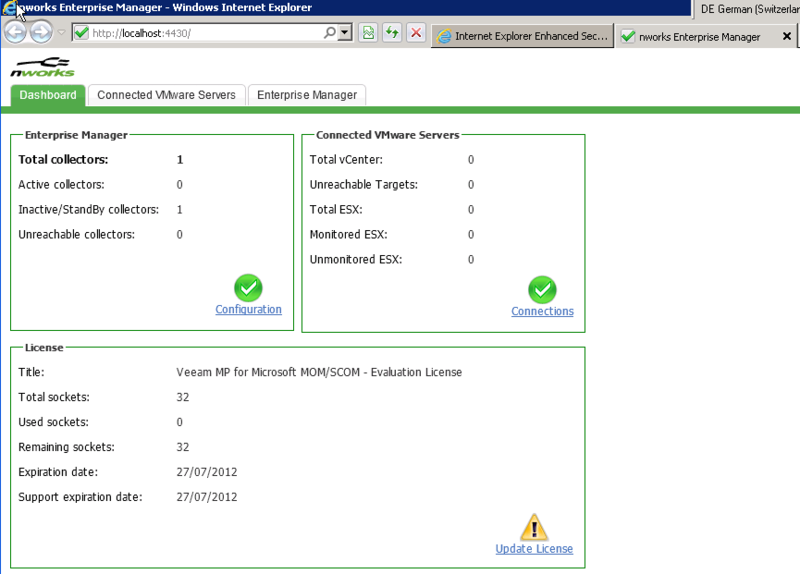 Check http://www.veeam.com/veeam-mp/help-center/mp/ vor more details.